dimension and richness to our public spaces. 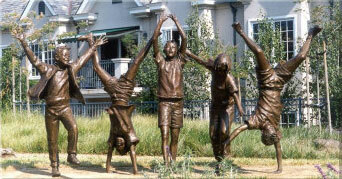 The City currently owns eighteen permanent sculptures and also showcases approximately ten sculptures as part of a rotating program under which the sculptures are on loan from the artist for two years. 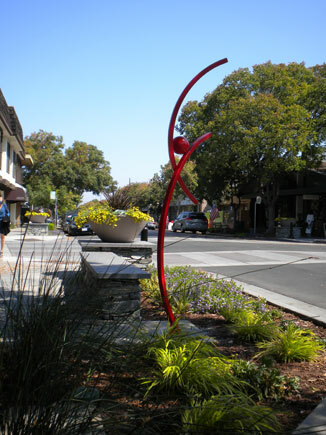 The Public Arts Commission advises the City Council on the selection and placement of all public sculptures. The Commission takes an active role to enhance the visual aesthetics of the City, engage the community as participants, and promote and support the visual arts. Please contact the City Manager’s office at 947-2740 or email to administration@losaltosca.gov. Village Park, Edith & San Antonio Rd. Hillview Community Center, Hillview Ave.